Bond and create lasting memories with your baby! Nurture their imagination and development using music, sound, rhyme, rhythm, and movement. Using a different theme each month, your little one will explore infant-safe instruments, cultivate body awareness through joyful movement, and begin building upon their listening, communication, and socialization skills in a safe, clean, inviting, and harmonious environment. Your baby’s brain development will soar with our sensory-rich activities and hands-on learning. Not sure yet? Join us for a free preview class. Your little ones are in great hands. My Little Conservatory is the top-rated studio in California and is in the top 1% of Kindermusik studios worldwide. We realize that life happens. Because of this, we offer makeup sessions that never expire and are easy to schedule online. Our studio and all of our instruments are exceptionally clean and hygienic. All props and objects your child will come in contact with are sanitized prior to use. Your child’s safety is very important to us. All of the instruments in our Kindermusik for Babies class are safe for your infant to use and enjoy! Our fun-loving and kind teachers genuinely care for and connect with each child they instruct. They will engage, inspire, and nurture your child with their infinite creativity and enthusiasm. 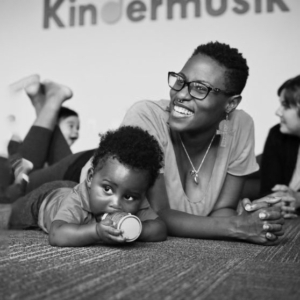 Endorsed by pediatricians and preschool teachers worldwide, the research-based Kindermusik program will benefit your child through increased early brain development, improved vocabulary as well as enhanced math and pre-reading skills.